PizzaSRQ is a casual dining experiance that provides a broad range of cuisines. 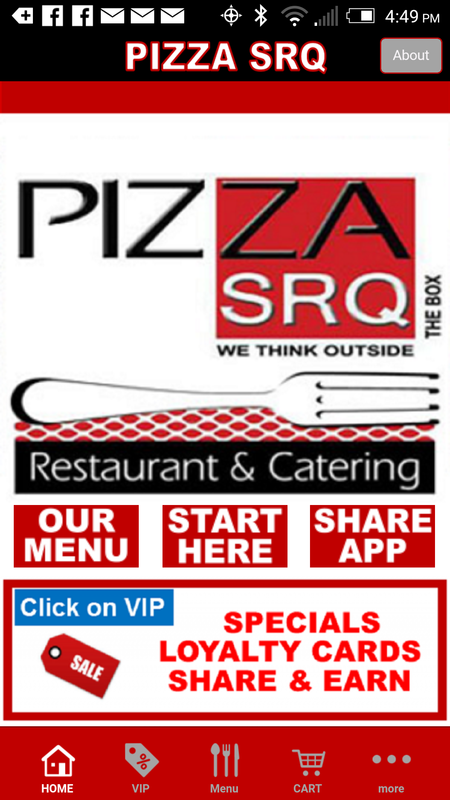 PizzaSRQ is known for it's award-winning Pizza, Italian and Greek specialties. Daily, monthly and Catering Specials available.